The EU Framework Directive, 2009 – commonly known as the EU pesticide package -imposes all member states to develop National Action Plans that require those who use pesticides in their commercial activities to apply the principals of Integrated Pest Management (IPM). 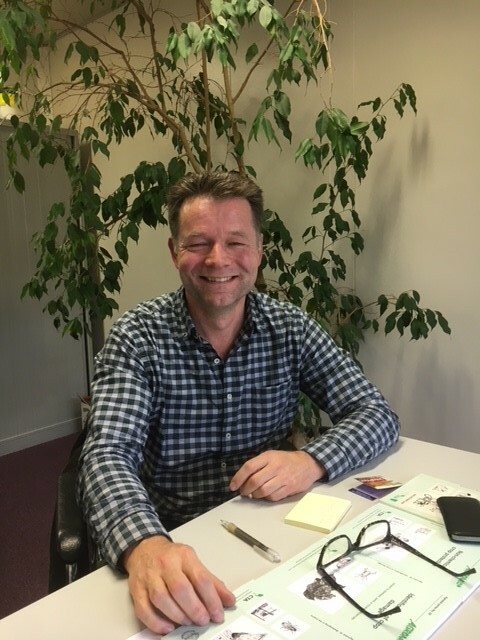 Dr Willem Jan de Kogel, WUR Business Unit Biointeractions & Plant Health is closely involved in researching the problems generated by large-scale monoculture and the use of chemical pesticides and artificial fertilisers. In particular on plant health and food security but also the negative effects on pollinating insects and the health of those working with these products. From the time that he was a child looking out over the peaceful green meadows around his parental home and later as a student of biology and entomology in Utrecht and Amsterdam, he became increasingly aware of the impact biodiversity has on human life. Since he joined WUR he has been closely involved in programmes dealing with the management of plant pests and diseases. The health and sustainable cultivation of fruits and vegetables that are free of the damage caused by bacteria, viruses, insects, fungi and nematodes and can be safely sold and exported is considered a priority. This involves developing, producing and implementing diagnostic tests that can indicate, monitor and prevent plant disease. In his current capacity as Business Unit Manager of the WUR’s Biointeractions & Plant Health Unit, Dr de Kogel is working with researchers, producers and companies involved in these issues. The Dutch Ministry of Agriculture, Nature and Food Quality is currently supporting a five year WUR research project into the development of robust resilient cropping systems in which biodiversity supported IPM plays an important role. The projects primary objective is to design resilient systems for the cultivation of apples, strawberries, lilies and other arable crops. Dr de Kogel and his colleagues are working with a group of farmers, horticulturalists and the supermarket companies that buy these produce to gain insights into their experiences and their reactions to potential innovations. Drones monitor the crops being grown and identify when plants come into problems and these results provide important information for those researching these issues. At the European level the EU Horizon 2020 supports similar objectives. The Europe Australasian Thrips Semiochemical Network (EATS) funded by the EU Marie Curie Actions -International Staff Exchange Scheme (IRSES), for example, made it possible for researchers in New Zealand, UK, Spain, Austria and Australia together with International Centre for Insect Physiology and Ecology (ICIPE) to exchange information about dealing with trips – the tiny insects that damage and transmit viruses to horticultural and agricultural crops and have the capacity to develop pesticide resistance. Dr de Kogel is aware that to be effective research must take into account how organisms react to each other, how they function and also their genetic composition. The development of biocontrol agents (beneficial organisms that control harmful organisms) involves considerable work but successes are being booked. 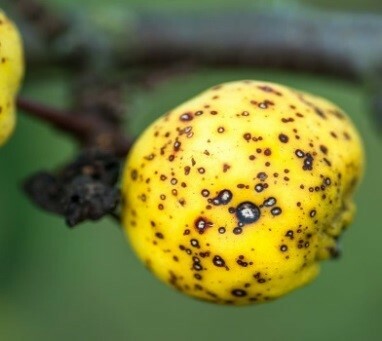 For example, for scab in apples a “biocontrol agent” has been identified and will be developed into a commercial product. This biocontrol agent has been shown to be successful in field experiments and is now being further developed by a commercial company. It will take a few years before it is registered with the EU and can be brought on the market and used in practice by growers. Unfortunately this process takes a couple of years. The results of research into diagnosing, monitoring and preventing plant diseases are being used by farmers, food control agencies, inspection organisations and companies in the agrochemical sector. Identified biocontrol agents (for example predatory mites and bugs but also beneficial micro-organisms) are also increasingly and successfully being used in greenhouses to deal with pests and diseases. However, climatic factors make it more difficult to ensure plant health in open field systems. Researchers are becoming increasingly aware of the need to take global warming and changing climate conditions into account and the effect these changes can have on the fungi, bacteria, mites and insect pests that threaten agricultural, horticultural and forestry production. This entry was posted in Blog and tagged biocontrol agents,plant pests and diseases,preventing plant diseases,sustainable cultivation.